Former Golden Eaglets sensation Victor Osimhen was on fire on Sunday as he netted a brace to help his Belgian side Sporting Charleroi to a surprise 3-2 win over Zulte-Waregem. Charleroi opened the scoring in the 44th minute as Cristian Benavente’s shot found the back of the net. The lead lasted for just 29 minutes before Hamdi Harbaoui equalized for the visitors. Harbaoui got his second of the night in the 83rd minute and his goal put the visitor ahead and in pole position to pick the maximum three points. However, Osimhen , who was on loan from Bundesliga side Wolfsburg, scored his first goal of the game in the 85th minute to bring the scoreline to 2-2. As it looks like both teams were settling for a draw, the young Nigerian put the home crowd in a joyful mood when he rose the highest to nod home an inviting and beautiful cross from Cristian Benavente. The youngster has now scored six goals in all competitions since his move to the Belgian club. In other Super Eagles news, Udinese defender Troost Ekong endured a difficult game against Napoli on Saturday. The 25-year-old was at fault for the first goal conceded by his team as he failed to clear the ball completely out of danger, therefore, giving room for Napoli to take the lead with a fine curler. After another unexpected error from the former Tottenham player, Udinese manager Julio Velázquez substituted him with just 35 minutes into the encounter. The game ended 3-0 in favour of Napoli who are now four points behind Juventus on the League table. To be fair with Ekong, fatigue could be responsible for his shambolic display. He played 180 minutes against Libya during the international break. He also had to make a long trip back to Italy on Wednesday before playing his third game in one week on Saturday. Nonetheless, Ekong still remains an integral part of Julio Velázquez’s team and he would be hoping to redeem himself against Genoa on Sunday if given the opportunity to start the game. Super Eagles players were in action for their respective clubs during the weekend. Some were outstanding while some were far from impressive – Here is a rundown on how some of the country’s finest players performed during the weekend. The 25-year-old defender has been a regular starter for Udinese in Italy but Saturday’s game against Juventus was one to forget for him. He was partly at fault for the first goal conceded by his team as he failed to tackle Mario Mandzukic before the Croatian finds Paulo Dybala with a great pass. The Argentine made no mistake in putting the ball to the net. The game ended 2-0 in Udinese’s defeat. The centre-back finally made his much-awaited debut for Leganes after replacing their injured player in the 29th minute of their 1-0 victory over Rayo Vallecano on Saturday. The former England youth international played 66 minutes of action in Torino’s 3-2 victory against Frosinone on Friday. He wasn’t in his usual best, though, he offered much threat to the team while attacking. He must show more defensive alertness in the next game. The in-form speedy star was on the scoresheet for the third consecutive matches as he helped his Saudi Arabian League side Al-Nassr to a 5-1 win against Al-Hazm on Saturday. The 25-year-old striker opened the scoring for the home side before providing two assists to ensure his team stretched their winning run to five games. The former Hannover 96 defender was an unused substitute as Brighton narrowly defeated West Ham by a lone goal that was scored by Glenn Murray. The CB has played just two matches for the Amex outfits since his free transfer to the team during the summer transfer market. 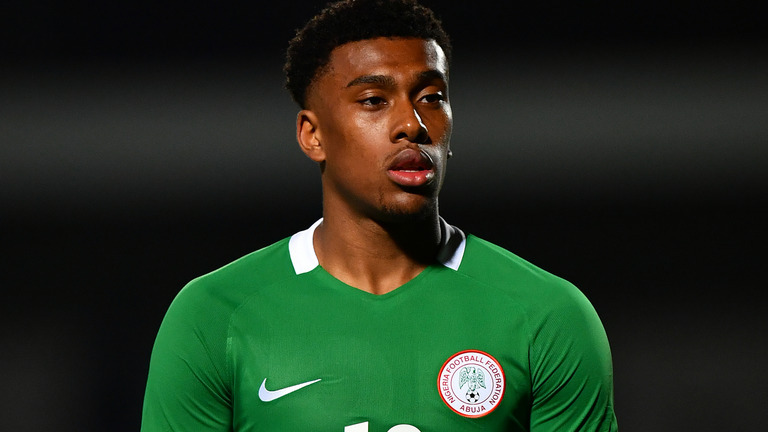 Nigeria’s in-form winger Alex Iwobi was named in the starting lineup by Unai Emery for the second time in a row following his exploits in Thursday’s Europa League victory over Qarabag. The £15m-rated left-winger took Mesut Ozil’s place in Emery’s first eleven as the German international is currently out of action due to back injury. Though the Nigerian struggled in the opening 10 minutes of the game which took place at the Craven Cottage, Iwobi improves on his performance as the game continues. He was influential in the build-up to Alexandre Lacazzette’s opening goal which gave the Gunners their deserved lead. Iwobi was lively at the left flank of attack, almost all the Gunners attacking moves were made through him. However, the Gunners failed to keep a clean sheet as former Chelsea and Wolfsburg attacker Andre Schurrle scored in the first half to restore parity to the home side. Lacazzette was able to put the North London club ahead for the second time in the clash when he scored his brace for the night. Iwobi’s electrifying display was met with a great chant from the Gunners fans, who couldn’t help but praise the young star as they shout ” Alex Iwobi” during the game. Despite his brilliant showings, Unai Emery substituted the nimble-footed star in the 66th minute as want-away midfielder Aaron Ramsey was introduced in his place. With two minutes into the game, Aaron Ramsey’s presence was immediately felt as he scored a great goal to put the encounter far beyond the Cottagers reach. Fellow second half substitute Pierre-Emerick Aubameyamg scored a brace to round up the scoreline. In Premier League’s history, no club has ever produced two different goalscorers from the substitute bench in one game — a feat that was achieved by the Gunners against the new Premier League club. Two Super Eagles players Kelechi Iheanacho and Wilfred Ndidi were both named in Claude Puel’s starting lineup — for second consecutive Premier League matches — in their 2-1 defeat to Everton at the King Power Stadium earlier today. The two players, who are expected to be in Nigeria next week for their AFCON 2019 qualifying clash with Libya, had a very quiet performance during the game. Former Genk defensive midfielder Wilfred Ndidi was uncharacteristically outplayed by the Toffees midfielders at the middle of the pitch, much to fans displeasure. As for Iheanacho, the former Manchester City striker was found wanting in his duties as a playmaker. Though he assisted Ricardo Pereira’s equalizing goal, Iheanacho failed to make his presence count throughout the time he spent on the field of play. Meanwhile, Super Eagles target Ademola Lookman was an unused substitute for the Merseyside club. The 20-year-old winger hasn’t been given much time by Everton manager Marco Silva who prefer Sigurdson and Gana ahead of him. Lookman could make his much-speculated switch to RB Leipzig in the next transfer window, should he fail to get quality game-time before the end of the year. Elsewhere, rejuvenated Super Eagles star Isaac Success failed to help Watford avoid a massive 4-0 defeat to Bournemouth. The Saints were awesome for the entirety of the clash as they put four goals past Watford’s goaltender Gomes. Success was introduced into the game in the 55th minute but he could do nothing to prevent the heavy defeat. 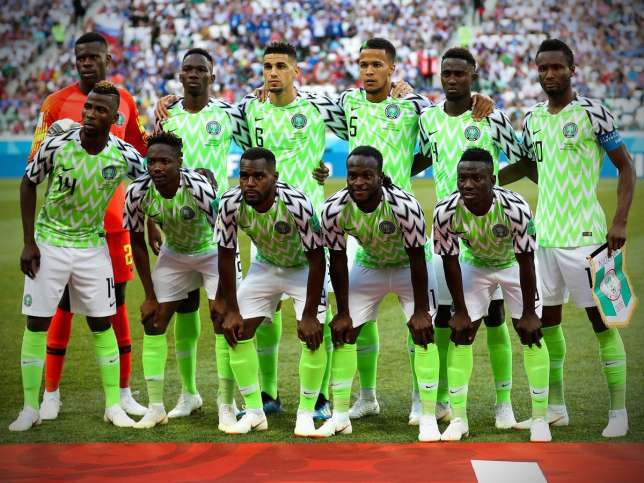 Super Eagles head coach Genort Rohr recently release his 24-man squad list ahead of their crunch tie against Libya in next week’s 2019 Africa Cup of Nations qualifier. The Frenchman is hoping to have his invited players in great form before the highly-speculated clash with the North African side. Meanwhile, some of Rohr’s invited players were in action for their respective clubs in yesterday’s Uefa Champions League matches but it wasn’t a great outing for most of them as they were thrashed by their opponents. The Everton loanee was on from start to finish but he could do nothing to stop his Turkish side Galatasaray from losing to Portuguese giants Porto. The 22-year-old, who was in Rohr’s list to face Libya, was lively for the away side but he failed to find the back of the net despite going the distance. The Super Eagles defender hasn’t been fairing well with Porto since the start of the season. He has found game-time too hard to get and he was an unused substitute against Galatasaray. 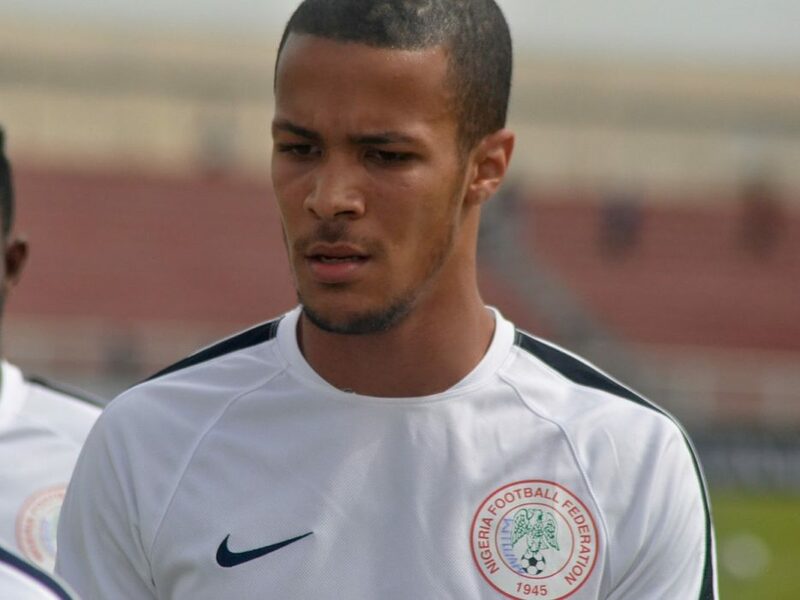 The 21-year-old Eagles defender was made to watch the encounter from the substitute bench as he continues to seek for regular action ahead of the Libya encounter. The Nigerian international started at the left-back position for Russian side Lokomotiv Moscow but failed to help the team keep a clean sheet against Bundesliga side Schalke 04. Lokomotiv Moscow, who were at home, conceded the only goal of the game in the 88th minute as Weston McKennie rose highest to nod home the ball. On Tuesday, Super Eagles outcast Olanrewaju Kayode made his Champions League debut for Shakhtar Donetsk in a 2-2 draw against Ligue 1 side Olympic Lyon. The Nigerian striker replaced Junior Moraes in the 83rd minute of the encounter. Is Jorginho’s agent having some regrets? Loads of talent: will he join Chelsea or Liverpool next summer? Chelsea, Manchester City, Tottenham, Crystal Palace and Liverpool sent scouts to watch Queen Park Rangers wonder kid Eberechi Eze. Eze is in a brilliant form which skyrocketed the scouts to sit in observation as they watched him play against Millwall on Monday night at Loftus Road. Eberechi stole the show while he scored in the very match that saw his team earned the much-needed victory. The young star has been bright and impressive while playing behind the striker in the championship. Whilst his club was tipped to be listed among the relegated team this season, he has given QPR a dazzling hope of his conservative performance. The diminutive, conservative and skilful player has entertained his fans with three goals which makes him a potential player to leave his current club sooner or rather than later. On different club’s perspective; Chelsea is keen on adding young talents to their squad; Maurizio Sarri will be considered lucky with plenty options to pick from while Mauricio Pochettino is in need of attackers due to lack of extra legs in his team. Liverpool have a host of brilliant talent but it will be very competitive for the QPR player to join with Saido Mane, Mo Salah, Daniel Sturridge, Divork Origi and co in a very tough role already mastered by Klopp’s triumvirate. While Man City still have quality young players from the bench who are yet to stamp their shirt in Pep Guardiola’s radar. For Eze to get a grip on any of the aforementioned club, he has to be very good. The 25-year-old put his team in front in the 20th minute. He extended the lead 20 minutes later and crowned his effort with his third goal which was marked as the finest finish of the game. While he was thankful to his teammates, he took to Instagram to express his delight over the victory. Musa was a key figure in Russia where he played with CSKA Moscow before joining Leicester City for then record fee under Claudio Ranieri. He was an unused sub throughout his stay when he struggled to adapt to English football. While he was concerned about his playing time in other to get a chance to join Super Eagles to Russia, he went back on loan to join his former club in Russia. 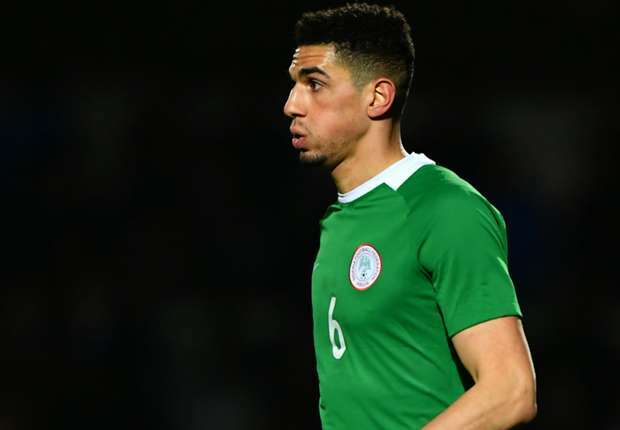 The goal poacher was industrious among the Super Eagles team; while he struggled to get playing time with Genort Rohr, He started in place of Odion Ighalo against Iceland, got a brace in the match that ended 2:1. 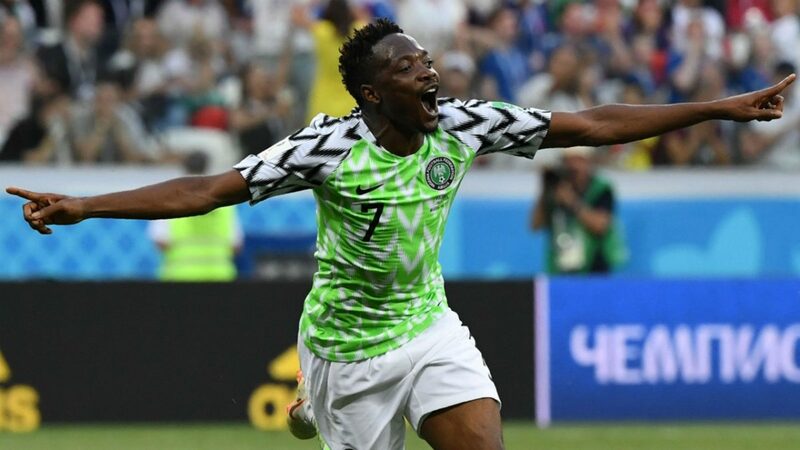 Musa finished as the all-time leading goal scorer in Africa after scoring 4 goals in total. While he returned to Leicester, he caught the eyes of an oil-rich club who lured him with elite players in Saudi Arabia. His presence has helped his teammates to earn the much needed victory with his hat-trick. Thanks to his speed, accuracy and shot power. The goal poacher will have an eye for goal in the encounter against Al-Taawoun on Monday, 24 of September. Tottenham join race to sign Chelsea’s target.